When Julie Smith arrived in China in her early 20s, she didn’t know what to expect. But while teaching English in Chengdu, she lived across the street from The Sichuan Institute of Traditional Medicine. There, she took a few classes, her teachers and fellow students convinced her to study acupuncture, and, she said, she just fell into it. “I would go to these clinics, and the doctors would hand me these long needles, and say, put these in that woman’s face,” Smith said. “It was really intimidating, but I did it. I learned on the job – so to speak.” Plus, she began noticing the impact acupuncture had on a wide variety of illnesses and the throngs of patients that passed through the crowded clinics. People who had facial paralysis, the flu, back pain, psoriasis or broken arms, among other things, found relief. For example, she recalled, “It was inspiring to see family members bring their Nai Nai (grandmas) in for acupuncture every day if they had recently suffered from a stroke. They often traveled great distances to receive treatment.” People who have a stroke need to regenerate the damaged tissues quickly, so the more treatment they get in a more concentrated period of time, the more likely they are going to regain their faculties. In most Chinese hospitals, whether they are western or traditional, acupuncture plays a major role in post-stroke rehabilitation. After her formal studies in Seattle, Wash., where she was one of the first students to study in a brand new acupuncture school started by Dan Bensky, she returned to China again. This time she studied Dermatology at Dongzhimen Hosptial in Beijing. “Treating skin disease continues to be one of my favorite things to treat. It’s exciting because you can actually see the results of the treatment and Chinese Medicine has so much to offer people suffering from these horrible conditions”. Smith has completed an extensive training program with world renowned Chinese Medicine Dermatologist, Mazin Al-Khafiaji. In 2002 Smith opened the Moxa Shack in a converted office space in her garage in Lyons, allowing her to care for her young children. By 2010, Smith recognized a need in Lyons. “A lot of people wanted acupuncture, but couldn’t afford it, or couldn’t afford to get enough of it to get better.” So, she and Carol Conigliaro opened Lyons Community Acupuncture Clinic, styling it after Asian clinics. While LCA is not exactly the same as the busy, noisy clinics in China, treatments are more affordable and patients might find themselves being treated alongside other patients. “As we all know, healthcare costs can be crippling. I hope to offset some of the financial burden by offering this clinic. I firmly believe that healthcare is a right, not a privilege.” Smith accepts insurance. At LCA she also sees people for private sessions. Community Clinics are offered on Tuesday mornings and Thursday afternoons by appointment. With all these offerings Smith aims to provide something for everyone. 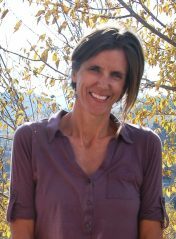 Julie Smith has practiced for 20 years, taught at Southwest Acupuncture College, and currently offers treatments in both Boulder and Lyons. She lives in Lyons with her two children and her husband, Tim, the Director of Asian Studies at CU, with whom she has been married for nearly three decades.